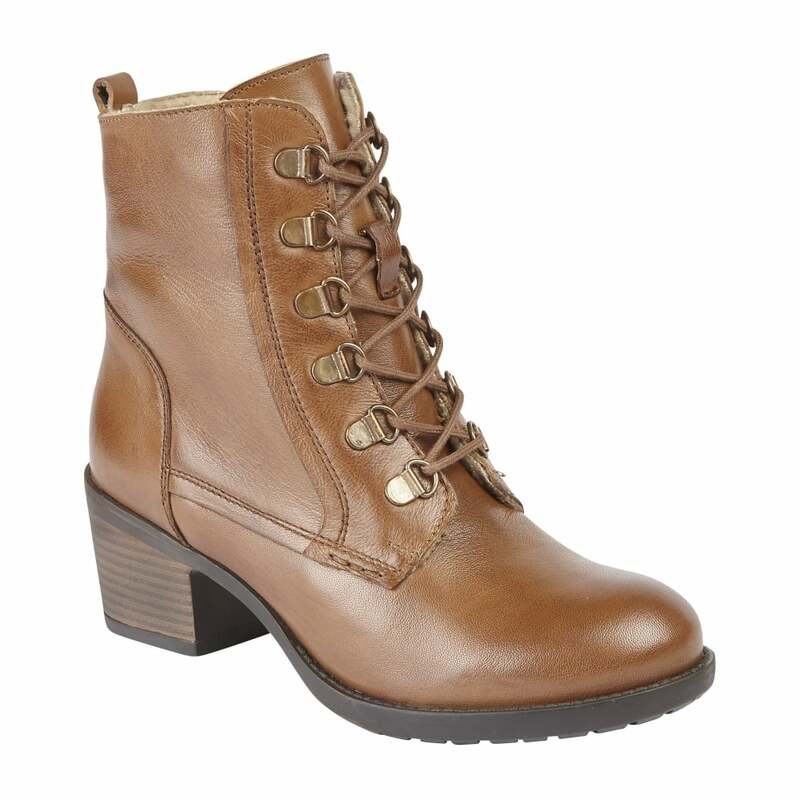 The Lotus ladies’ Denna lace-up ankle boot is as visually appealing as it is functional. This striking Lotus ankle boot is crafted in tan leather and takes inspiration from a traditional walking boot. D-ring detailing for the lacing is encapsulated, as is a cleated sole unit and a fashionable 6cm block heel. Denna from Lotus is absolutely perfect for laid-back dressing this season.